Thank you all very high quality of products. i would definitely recommend 20 days arrived. Super covers, super delivery. this is not the first order and definitely not the last. It was the fastest delivery from Ali! 30.03 the order was made 12.04 Case on meste. spasibo for efficiency! Case exactly as in the picture, was packed in pupyrku on conscience)) on the phone is perfect! Fast shipment, delivered within three weeks to Saudi Arabia. I am happy with service and would recommend the seller. As in the photo one to one! thank you! Arrived in India in exactly 1 month. Little hard to put on but looks great. I received the product in just 1 week! Supurb!! 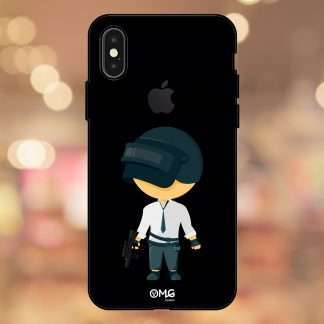 I already orderd this type of phonecase. I’m really pleased with it! Very nice case! I really liked it! looks nice. the color noble pink! I recommend!!! Item received in good condition. Super fast delivery . Everything looks good. Recommended seller. Very fast delivery. satisfied with the quality. I recommend the seller. I am very happy with my product, arrived in perfect condition and before the estimated time. Highly recommended. Track to track, delivery fast! Thank seller I recommend. Case good, th need to modify the button sound! The case came but its broken! the cover is Ok but the top and bottom (golden parts) are very fragile ( very thin plastic ), and it’s hard to fit. you get what you pay for. Delivery of less than three weeks. quality is quite good, corresponds to the cost. shiny отделяемые parts. sits well. satisfied with the purchase. The order is not received, but the seller returned the money, for honesty of 5 stars. I not received the product, more than promised the money back. Normal delivery about three weeks the quality is good, there is nothing to compare, I ordered the previous iPhones! the eternal problem with straps they are not yet seen! Are nicely, relationship quality Price very good, have come very fast. Did not receive the item but seller refunded my money. Good communication with seller. Delivery month +/-a couple of days. I sat perfectly there were no problems. defects not noticed so I recommend. seller refunded the money due to a lost transaction.. This seller is an honest person and tries to solve customer’s problem positively. I am very satisfied with the case. Case came in 1.5 months! in excellent condition! plastic, looks very nice! Case for the money is good. delivery month to Irkutsk. sat on the body. I ordered a cover 2, one mirror, red on the second photo shows. the quality is super, reached 6 perfectly like a glove. Shipping to Krasnoyarsk almost 1,5 months. When you try to put cover on the phone, immediately broke the plastic gold tip. wear very carefully! This is a very good quality case for iPhone. Shipped in 4 weeks to Ukraine. Came broken, seller wrote about this, immediately responded, that will send new one for free. a week later came the new intact! everything is good! I recommend! Come for a month in the Crimea. but for the money the quality is not very. looks cheap not like the picture (as the phone will look .. I do not know took for a gift. All is well. went perfect, the quality is good, especially for the money. pleasant to the touch. I really love my case. I broke it because I dropped my phone but other than that. I looooove this case!! Came well as the description, very good and very nice color. recommend and will be ordering More from this seller. Arrived in 25 days, relationship Price quality. Шикарний cover for their tsіnu! ale Je Troshkov vazhko play i buttons natiskayutsya. to Turkey only 9 days. unbelievable. many thanks. Perfect EVERYTHING such and as seen in the photo. Very nice case. Was a bit hard to get on at first but everything is OK.
As in the image, Is the same color as the phone. Figment of variety quality, speed and excellent service!! Cheholchik in place. thank you. For the money will go. ok.